← Martha Kuwee Kumsa: The Unsung heroine and Iron Lady! From the point of view of the media, the Horn of Africa is a synonym for instability, conflict and famine. The region itself is much more diverse than can be put into one category. Ethiopia, as the largest country in the Horn, belongs to one of the most complex and historically complicated states not only in this region, but Africa in general. Recently, Ethiopia has witnessed enormous growth visible mainly in large cities mixed with repeating famines, local small-scale conflicts, as well as war with neighboring Eritrea. Ethiopia has been very much affected by ecological disasters as well as political mismanagement for at least the last four decades, which means during three types of regimes: Imperial (Haile Selassie), socialist (the Derg), and EPRDF (Ethiopian Peoples’ Revolutionary Democratic Front). With the rise of “newcomers” such as China, India, Brazil, Malaysia, Turkey, and many others, Ethiopia has also become the primary destination for many companies developing their agricultural business in parts of Ethiopia. Consequently, “land-grabbing” has become as common a practice in Ethiopia as in Africa in general. This article deals with a neglected region surrounding Dembi Dollo, a town close to the Sudanese border on the Western fringe of the Federal State of Oromia, the largest federal state of Ethiopia. The article is a part of my research interest in Oromo nationalism and modern/contemporary history of Ethiopia. It is based on my visit to Dembi Dollo in 2009 and the information I have got from my Oromo friends and informants both in and outside Ethiopia. Oromia is the largest federal state in Ethiopia. It spreads across the Western and Eastern parts of Ethiopia which makes it very diverse. Diversity can be seen not only in the architecture of urban areas, but mainly in different topography, and especially religious environments. Throughout the Oromo land, we can distinguish several types of land, from very dry and sandy in the East around Dire Dawa and southwards, to deeply green in the Western parts of Oromia where rainfalls are not so rare, and where rich soil gives plenty of agricultural products including coffee and maize. What is now the Federal State of Oromia is a land inhabited by various societies speaking many languages. Oromia is the largest and economically most important federal state in Ethiopia. The Oromo people are the most numerous from all the ca. 80 ethnic groups sharing the Ethiopian space. Until the 19th century, Oromo’s inhabited regions were home to many smaller kingdoms including Jimma Abba Jifar, Limmu Ennarea, Janjero, etc. These were incorporated into the modern Ethiopian state during the last quarter of the 19th century. Oromo has traditionally been known as the land of plenty, even though famines have devastated some parts of its territory many times in history. On one hand, Oromia does not belong to the most seriously affected territories in Ethiopia when it comes to recent drought and famine, but on the other hand, due to certain political heritage, at least some parts of Oromia are severely affected by the government’s tight grip on power and politically sensitive issues of Oromo nationalism and secessionism. In this regard, I especially refer to the town of Dembi Dollo which is the last big town along the ‘Western frontier’, and generally the Western part of the Wellegga region. Dembi Dollo, formerly known as Illubabor, is a relatively small town (approximately 40.000 inhabitants) placed in a very remote area of Oromia in Western Ethiopia. The town has historical significance as the former seat of the Oromo Liberation Front (OLF). OLF has been one of the main ethno-political organizations which was formed during the Derg regime in order to fight for emancipation of the Oromo people. After the failure of transitional government talks in the early 1990s, OLF left the political arena and took up arms against Tigray People’s Liberation Front (TPLF)-led army. OLF’s headquarters in Dembi Dollo were heavily damaged by the Ethiopian army at the beginning of the 1990s. The town was severely affected, and even today, unlike for example Dire Dawa, it is composed of small houses on a very muddy area with no tar road. OLF was later forced to move its actions to Southern Ethiopia and Kenya from where the majority of smuggled arms and ammunition come. Since that time, activities of OLF are limited mostly to diaspora statements and some minor attacks. For the government, OLF is an ‘important enemy’ used as a tool of oppression of political opposition. Everyone who is regarded as a potential threat to the regime can be easily blamed of being associated with OLF. The government regards OLF as a terrorist organization. Shortly before the 2005 parliamentary elections Prime Minister Meles Zenawiblamed OLF of preparation of nine bomb attacks in Addis Ababa. Heritage of struggle between the ruling TPLF, which is a part of the Ethiopian Peoples’ Revolutionary Democratic Front (EPRDF), and OLF is still visible in Western Ethiopia. Atmosphere of fear and mistrust is one of the main features of Dembi Dollo. The Meles Zenawi government, in an effort to break remaining seeds of resistance in this area, has frozen any investments including closure of the Dembi Dollo airport. Catastrophic stage of infrastructure only deepens devastation of social and economic life in the town and neighborhood, especially when compared to actual flourishing of some other regional centers including Ghimbi, Nekemte, or Ambo. The only visible development of Dembi Dollo comes from the diaspora and the various churches whose presence in this region has a long tradition coming back to the end of the 19th century. According to locals, the former saying ‘Dembi Dollo, bïrri aka bokolo’ (Dembi Dollo, where maize is like a bïrr – the Ethiopian currency) is now meant only as a bitter joke though once the town and the neighborhood was known for its fertility. For example, in 2009, there was only one hotel in Dembi Dollo, and another was under construction, both financed by the diaspora. In Dembi Dollo, one may encounter a relative ethnic homogeneity with strong predominance of Oromo people. Religiously, the area is composed mainly of Protestants, followed by Catholics, Orthodox and Muslim believers. Generally, the Oromo people tended to convert to Islam or followed their traditional religion Waaqefaana, due to historical animosity against the Ethiopian Orthodox Church since the 17th century. In the Wellegga region, Protestantism, and to a lesser extent Catholicism is dominant, while in other parts of Oromia, Islam is the leading confession. Since the end of the 19th century, local Oromo people have been mostly educated by Christian missionaries, particularly German, Dutch, Norwegian, and Swedish Protestants. 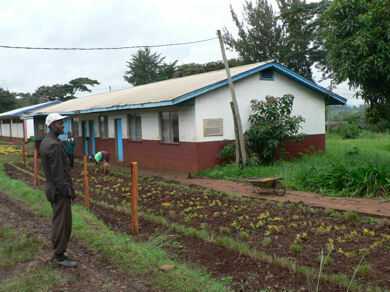 Bethel Evangelical Missionary secondary school in Dembi Dollo. As is the case of many Oromo Muslims in the East, also in Dembi Dollo, many people regard their religious affiliation and association as their primary identification. Therefore, ethnicity is somewhat less discussed since almost everybody here is Oromo, except for a minority of newcomers and foreign missionaries. ‘Religious naming’ is, on the other hand, a matter of everyday life. People usually categorize themselves along religious lines, so it is more usual to hear that somebody is ‘a Protestant’, or ‘a Catholic’, or ‘a Muslim’, rather than ‘an Oromo’ or ‘an Amhara’. Obviously, on one hand, one explanation is that due to ethnic homogeneity there is no need to talk about ethnicity. On the other hand, it shows one remarkable aspect of the complexity of daily life in Ethiopia ? the strength of religion. The Oromo diaspora usually emphasizes the ethnic side of the ‘perpetual conflict’ in Ethiopia which has historical and political roots and consequences. However, the role of ethnicity is, despite the existence of ‘ethnic federalism’, very often exaggerated while the importance of religion is seen rather as a minor part of cultural heritage. The opposite is true, as the author of this article is convinced. Religion is in many African societies a primary source of identity and identification. Religious identities are often more deeply rooted in societies than ethnic identities which may be seen as artificial, politicized, and most of all, very recent phenomena. Despite all the scholarly works regarding ‘ethnic’ rivalries, what is happening now in Ethiopia is the rise of religious fundamentalism which may negatively influence group relations in heterogeneous regions such as Oromia. 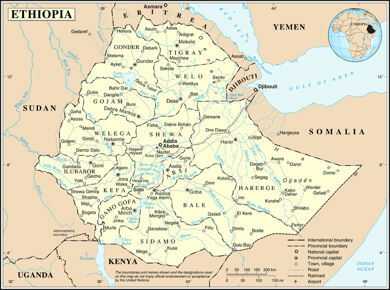 Ethiopia is often said to be a country where politicized ethnicity stands behind many of the local or latent conflicts. But this would be a simplification as some new rather religious disputes in the public show. For ordinary people, i.e. those without direct access to power regardless of their ethnic identity it is more important to satisfy their basic needs than to feed their potential nationalist ambitions. Due to the catastrophic underdevelopment in Dembi Dollo, caused by a direct decision made by Prime Minister Meles Zenawi to punish former headquarters of OLF, the development in this area is mainly managed by churches, both Protestant and Catholic. For instance, the only public library in town was built in 2007 with the help of the Ethiopian Full Gospel Church Development Organization. Famous Bethel Evangelical Secondary School is run by American Presbyterian Church while state run schools are desolated or in very poor condition. 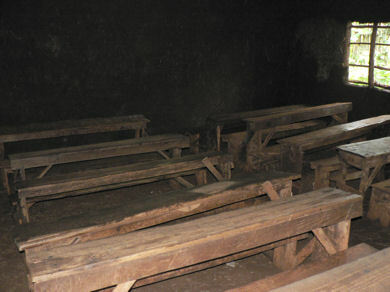 State-run secondary school in Dembi Dollo. It is thus no surprise that many people with whom the author spoke were very thankful to Christian Churches. This feeling of reverence for religious organizations and groups makes ethnic identity less important in the eyes of locals since there is no Oromo association which would directly be involved in the development of Dembi Dollo. It does not mean that ethnic rivalries and historical tensions are not seen in Dembi Dollo, but that this viewing of Ethiopia’s past and present is not the only one. Even in Dembi Dollo, many people are aware of the fact that any potential independence of Oromia would be impossible and, what is more, there is no direct need for it due to cultural emancipation which has indubitably taken place in Ethiopia in the last couple of decades. In 2011, the world was struck by the scale of the humanitarian crisis in the Horn of Africa. It affected mostly southern Somalia and some parts of Ethiopia – mainly those in semi-desert areas. Famine is not a new phenomenon in the Horn of Africa. History knows disastrous examples of famines which killed large numbers of people. Because almost the entire population is dependent on agriculture, and because agriculture depends on regular rainfalls, it is obvious that any shortage in rainfalls may have direct impact on harvests and the lives of people in the countryside, especially when they are dependent on one commodity. Despite its natural causes the humanitarian crisis may have an unfortunate political dimension. In the 1980s, the Sudan and Ethiopia were affected by a devastating famine which attracted attention of the international public. Its prolongation was caused by political decisions coming from the central governments of both countries. The reason was simply to punish regional rebellions and cause harm to liberation movements. Both in the Sudan and Ethiopia, the 1980s were largely characterized by perpetual conflicts in many regions. South Sudan was fighting against the regime in Khartoum, and Ethiopia was disintegrated due to the Eritrean struggle for independence, and the fight of many ‘liberation fronts’ against Mengistu in order to support their ethnic and political emancipation. Regions such as Ogaden and Benishangul/Gumuz as well as some parts of Oromia and northern Ethiopia were badly affected by drought and famine. Humanitarian aid, coming from the West, could be (and in many cases certainly was) under such circumstances blocked or simply not delivered to the most affected ‘rebel regions’. Recently, some parts of Ethiopia face serious crises not that much because of lack of rainfalls, but due to the direct impact of the central government as well. Various internet sources bring almost daily new information regarding the phenomenon of ‘land-grabbing’ and displacement of people in the countryside as well as in Addis Ababa. Such one-sided acts done by the government agents can only weaken the already very fragile socio-political situation in Ethiopia. Like in Dembi Dollo, due to forceful government policy leading to oppression of opposition and civil society, non-democratic and one-sided acts of land-grabbing and displacement can lead to further social frustration and lack of affiliation with the state. Richness and beauty of Wellega. Dembi Dollo and the neighboring areas of the Wellegga region belong to the historically important trade routes but their recent history overshadows the once famous past. Due to very tense ethnic politics in Ethiopia, and the existence of a non-democratic regime in the country, Dembi Dollo has become a marginalized and disadvantaged ‘frontier’ town in comparison with similar towns in Ethiopia. Face-to-face with the contemporary humanitarian crisis, the Ethiopian state only shows a policy of ethnic and regional favoritism. It has become a daily practice in Ethiopia, but may result in severe crises which are not new to these regions. An example is the Ogaden region. 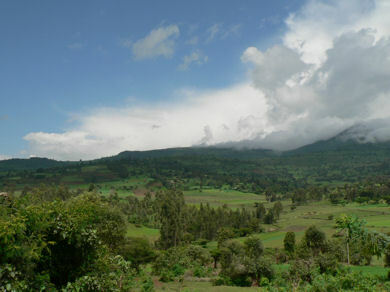 When accumulated, such phenomena as land-grabbing, displacement, ethnic rivalry, religious tensions, and regionally imbalanced development make the future of Ethiopia remain fragile and uncertain, especially when the vast majority of people still depend on agriculture and rainfalls, and when the state is not able to save all the regions from poverty and famine. The author is Ph.D. and a member of a new Centre of African Studies at the Department of History, University of West Bohemia in Pilsen, Czech Republic. His research is focused mainly on modern and contemporary history of Ethiopia, ethnicity and nationalism in Africa, position of Africa in international relations, and socio-economic problems of Africa. 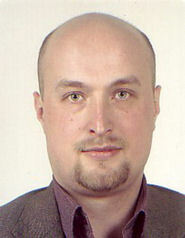 He has published numerous articles in English and Czech, including three books (in Czech). Abbink, Jon (2009). The Ethiopian second republic and the fragile ‘social contract’. Afrika Spectrum, 44(2): 3/28. De Waal, Alex (1997). Famine crimes: politics and the disaster relief industry in Africa. London: International African Institute. Gidada, Negasso (1984). History of the Sayyoo Oromoo of Southwestern Wallaga, Ethiopia from about 1730 to 1886. Frankfurt: Publisher Unknown. McCann, James. C. (1995). People of the Plow. An Agricultural History of Ethiopia, 1800/1990. London: The University of Wisconsin Press. Mekuria Bulcha (1996). The Survival and Reconstruction of Oromo National identity in Peter T. W. Baxter & Jan Hultin & Alessandro Triulzi (eds. ): Being and Becoming Oromo. Historical and Anthropological Enquiries. Uppsala: Nordiska Afrikainstitutet, 48/66. Østebø, Terje (2005). A History of Islam and Inter-religious Relations in Bale, Ethiopia. Stockholm: Almquist & Wiksell International. Záhořík, Jan (2011). Meles and the Rest: Continuation of Power Strategy in Ethiopia, in Hana Horáková & Paul Nugent & Peter Skalník (eds. ): Africa: Power and Powerlessness. Berlin: LIT Verlag, 44/54. Záhořík, Jan (2010). Ethiopian Federalism Revisited, in Patrick Chabal & Peter Skalník (eds. ): Africanists on Africa. Current Issues. Berlin: LIT Verlag, 127/137.